We did lots of great stuff over the past week, much update, very wow. We have vastly improved how we display our games within lobbies. You can now play your favourites games even easier and quicker! Simply click the NPC, after you join the game it will start instantaneously! The NPC's in the lobby will display the current amount of players online in that game, this frequently updates. We released our Back To School Bundle! You will get an epic amount of exclusive loot and awesome new features with this bundle, so get it quickly. If you wish to purchase this, you will see an NPC in our lobby and for a low price of 990 minecoins. LAST CHANCE! JUST OVER 24 HOURS TO PURCHASE THE 'PIONEER' BUNDLE! Our loot menu will keep expanding and we're going to be giving our players even more crazy content in the coming months. Have you ever wanted custom pets? We have so much planned and can't wait to share this with you. Stay on track to win the game! Rolled out new Loot menu in the lobbies, allowing Pioneers to enable and disable features such as their prefix and cage. Chunk loading has been optimised with some fixes on chunk issues. We’re aware of some other chunk issues currently occurring as well, and we’re also looking into those. It's time to introduce a brand new Experiment for EggWars. Double Egg mode was the first taste of Experimental EggWars, but now it's time to up the Experimentation. There's currently a Back to School Sale on our Store. 50% OFF EVERYTHING! Ranks, Multipliers, Cubelets and for a LIMITED TIME, Summer Cubelets are available only for 5 more days. Visit our Store HERE. Double Egg mode added a cool and interesting twist to the game, as rather than breaking one egg, you'd need to break 2. So now lets change up how you play EggWars. You no longer need to be careful travelling from island to island, as the void has been completely removed! That's right, you heard correctly. But you're probably wondering, "What's EggWars without a void?". This Experiment opens up the chances for so many new challenges, strategies and gameplays. Will you be a rusher or egg protector? This gamemode needs your team to be smart, strong and good and communication, because with one wrong decision, your egg and even your life will be eliminated. As the void has been removed, with added new risks, blockers and challenges. Such as Lava, walls and water. You didn't think we would make the map too easy did you? As this Experiment opens up the opportunity for a lot different attacks and strategies. That leaves one question... how will you play? Will you rush to break other team eggs? Will you attack using the walls surrounding the maps? Or just simply use usual EggWars methods? Today MinerWare is now on our Bedrock Edition server! 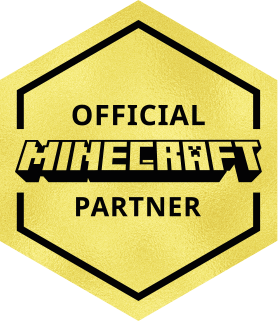 For one week only, it's available to Pioneer members only, which you can purchase from our CubeCraft Games Store when playing on our Bedrock server. MinerWare is a fun minigame which mixes multiple different microgames into one big game. You'll play a total of 15 microgames and 1 bossgame, the player with the most points at the end of the game wins! We've brought over most of the microgames, bossgames and maps from our Java Edition network for you to enjoy on Bedrock. There's a total of 33 microgames to play, with the challenge of winning one of our 2 bossgames available. You can play all these games on one of our 10 amazing and beautiful maps.